And I can’t stop watching them. It’s weird. 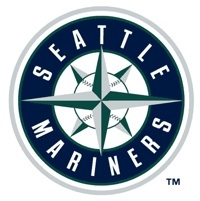 In a typical baseball season, I’ll watch the Mariners until about maybe 8:00 pm or so, when I come out to my office and get back to the day’s work. And then I’ll look for the score the next day. But for some reason, when the Mariners are possibly about to have their worst season ever, I’m watching a lot of games all the way ’til the end. It’s like I can’t stop watching. I can’t turn my head and look away. What creative way will they find to lose a game tonight? How will the broadcasters entertain themselves during this sleeper? They’ve become the biggest train-wreck in sports. That’s gotta be why. And Don Wakamatsu certainly deserved better than being fired today. If anyone deserved a firing, it was GM Jack Zduriencik. He’s the guy who built a roster with a bunch of guys that wouldn’t be good enough to play for any other team in baseball. He’s the guy who agreed to let Griffey come back for one more year. He’s the guy who thought Milton Bradley and Casey Kotchman were going to make the Mariners offense better. In my perfect world, Zduriencik and Wakamatsu would have stayed together, taken a mulligan on this season, and started fixing the roster in the off-season. Oh, well. I’ll say this: I bet Don Wakamatsu wins a World Series ring before the Mariners do. I counter with the Baltimore Orioles. @Phil Yes, that’s what I was thinking.